This radiograph was done three weeks after trauma. 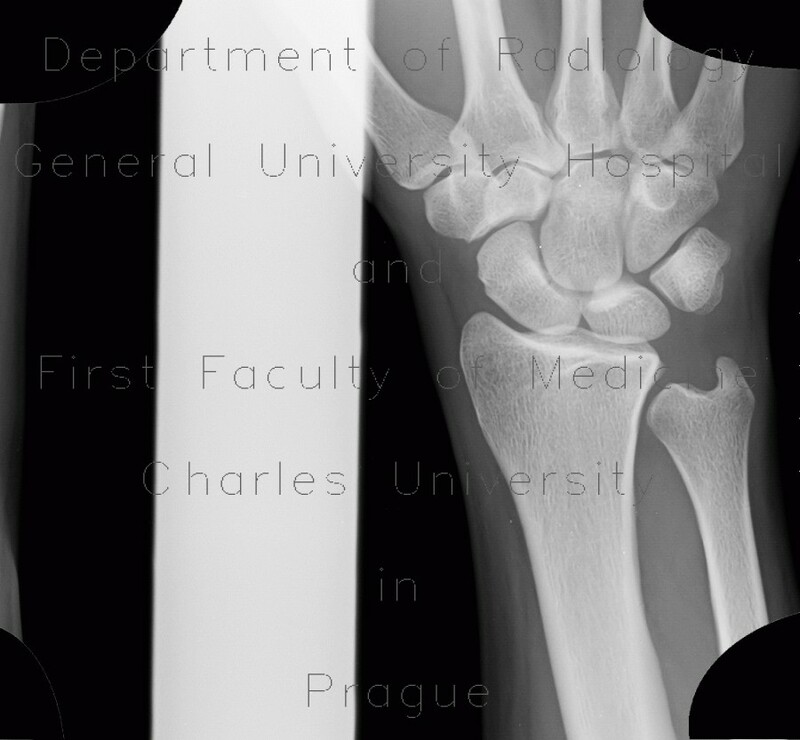 It shows fracture line between the middle and proximal third of the scaphoid bone. The fracture line usually becomes more conspicuous in time due to decalcination of its edges.